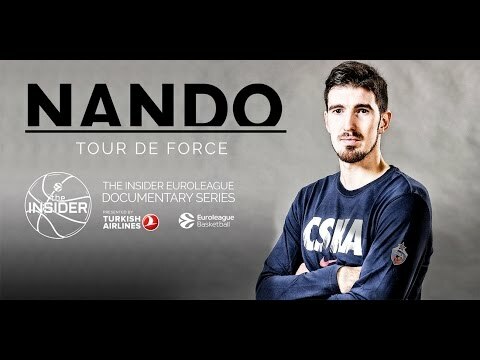 The game between Anadolu Efes Istanbul and CSKA Moscow was one of the best this season. With two teams in good shape and a Final Four-like atmosphere with almost 15,000 enthusiastic fans at Sinan Erdem Dome, the big showdown was played point by point, possession by possession and both teams had chances to win in the final seconds. When the dust settled, CSKA was the last team standing thanks to Cory Higgins's late heroics. CSKA, however, showed much more than that, sending a message to all future opponents. 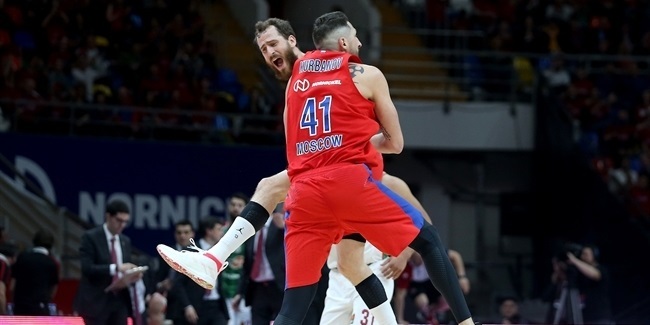 In a game in which its outside shots did not fall in, CSKA found different ways to score, stay competitive, show resilience and eventually beat one of the best teams in the EuroLeague this season. CSKA hit just 2 of 15 three-point shots. 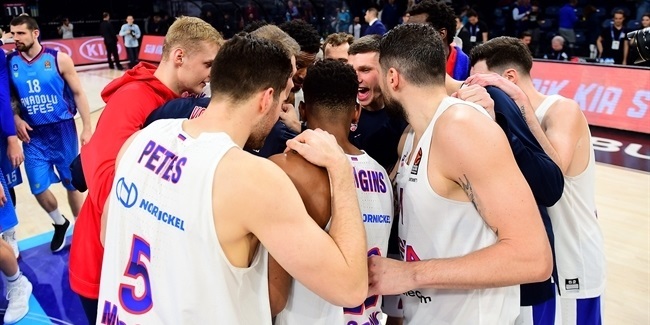 Not only was that 13.3% from downtown the lowest for CSKA all season, but it was also the worst mark for the Russian powerhouse in a EuroLeague game since October 17, 2013, when it hit just 1 of 11 (9.1%) in a road win against JSF Nanterre. 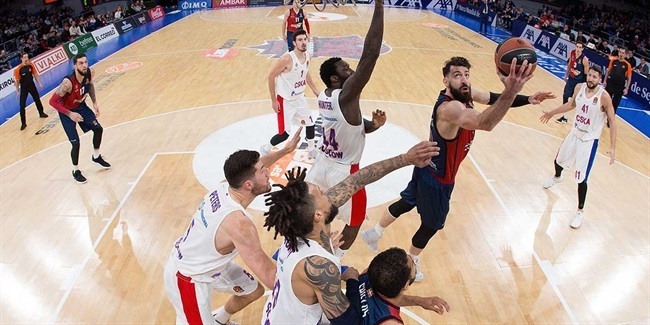 That lack of three-point shooting accuracy could have killed any other team against a powerhouse like Efes on the road, but CSKA got creative and found ways to win. CSKA was solid in all hustle stats and finished the game with 11 offensive rebounds, 6 steals and 7 blocks. Since its three-point shots were not falling, CSKA went inside and made 31 of 44 two-point shots (70.5%) and limited Efes to just 18 of 37 shots inside the arc (48.6%). Kyle Hines was particularly effective, scoring all of his two-point shots (7 of 7) to finish the game with 15 points and a performance index rating of 21, which tied his best marks this season. When the game went down to the wire, CSKA made fewer mistakes and found the right go-to guy. Higgins made the difference in the final minute. First, he beat the shot clock buzzer with a catch-and-shoot jumper that put CSKA in charge, 76-78. When Efes tied the game, Higgins received a hand-off pass and had the determination to drive to the basket and score. His clutch efforts gave CSKA a tough road win, but the team did a lot of things well on a day when its outside shooters were off-target. Higgins highlighted the importance of this road win and tried not to take too much credit for his big shots. "We needed a bounce-back win and it is a big one for us. It is a good start to two big games this week," Higgins said after the game. "Everybody has confidence in each other, so whoever was going to take that shot, the rest of the team was going to have ultimate confidence in him. It just happened to be me today."